This iconic ocean view boutique hotel was one of the first in the Dominical area and it is now for sale for the first time. 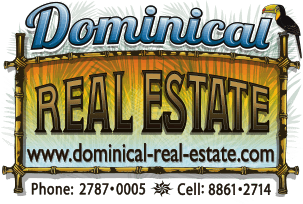 It is located just a few minutes off of the paved coastal highway and sits at aprox 600 ft elevation above Playa Dominicalito. A few more minutes north and you arrive at Playa Dominical and 10 min south is the town of Uvita and the famous Whales Tale National Marine Park. This profitable boutique hotel has one of the best ocean views you have ever seen. The way it is situated it looks up the coast to Manuel Antonio and you are watching the waves break from the side, it is one of the most mesmerizing things you will ever see. You can also watch sunsets all year over the ocean. It is tucked into primary forest where you and your guests will experience all of the local wildlife from monkeys to toucans to sloths. The hotel has 4 rental cabins, one standard, 2 deluxe, and a 2 bedroom, all with amazing ocean views. There are several lookout platforms, a pool, a restaurant, and an owner's home. The property also has plenty of room to expand. A new owner could build more rooms to increase the profits, or they could turn the current owner's home into more rooms and build a brand new private home on the undeveloped portion. This is a rare opportunity to purchase a classic eco lodge with good income and return clientele in an area that is developing quickly. Opportunities like this do not come along every day. 25 years ago the owners could have picked any property in the area but they chose this one for a reason. Come find out why!! !